I have always enjoyed checking out the great ideas and various innovation posted on Kickstarter. You probably have seen me post on various great ideas from previously funded Kickstarters or new ones that are amazing new idea. I finally decided to take the plunge to help build a business and fund someone’s idea and dream. It was successfully funded and I received my device this week. I decided to fund Find My Car Smarter by FMC Smart. 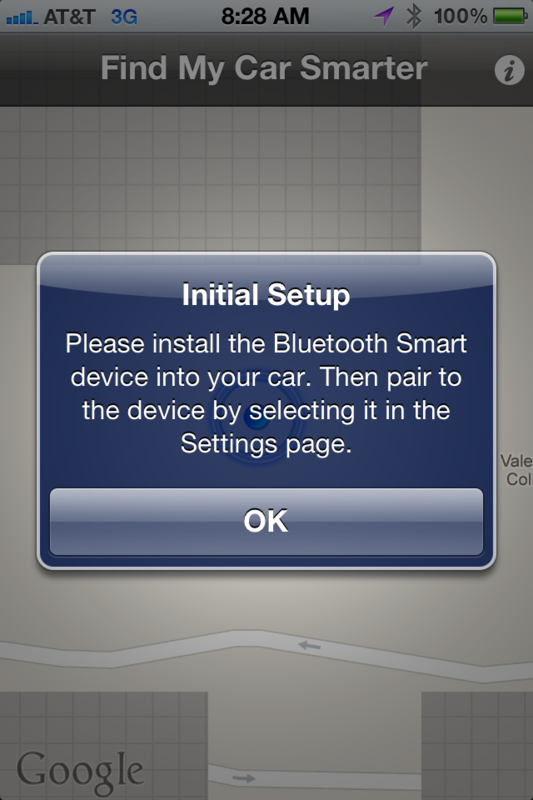 This application requires an iPhone 4S and the Find My Car Bluetooth Smart Device or compatible Bluetooth Smart Device. The app allows the iPhone 4S to remember the last place you parked and the only time you have to launch the app is after you have lost your car, not before. 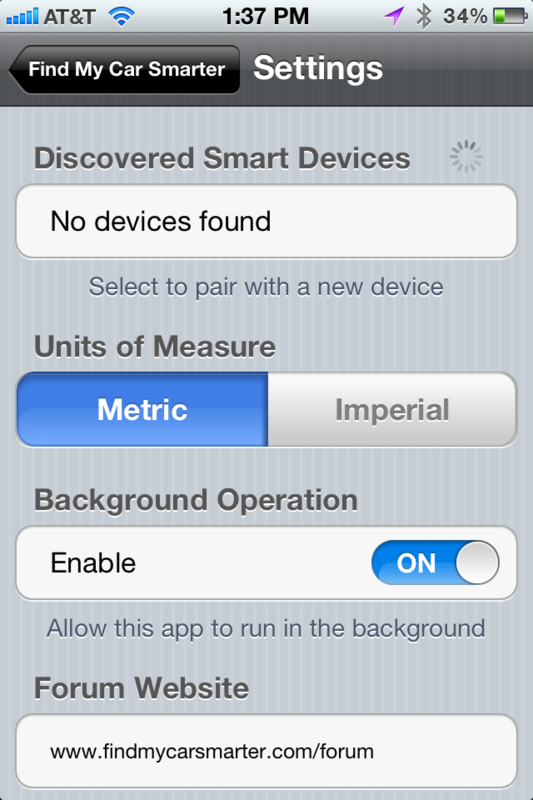 The app has been accepted into the App Store and is the first Bluetooth Smart application for any phone. It can be seen here http://itun.es/iL29wm. With my pledge, I was gifted a copy of Find My Car Smart app. 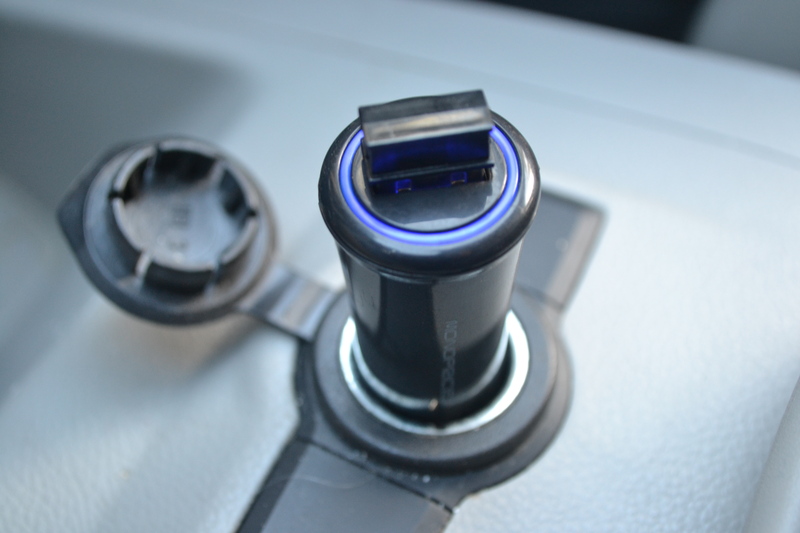 Setup was easy – Plug the charger with Bluetooth into your car. Choose your settings for Find My Car Smarter. Choose the setting for units of measure, background operation, and access the Find My Car Smarter forum. Let the app run in the background and remember where you parked. Open the app when you are ready to find your car. Notice it tells you the hours since it last synced the device too. This would be great for parking meters or knowing how much you will need to pay for the garage. 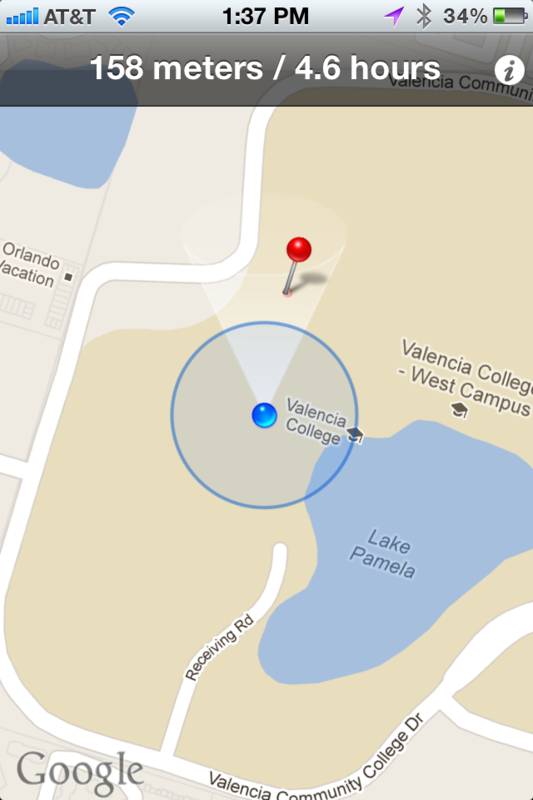 The true test for this app and device will be parking at Disney World and not remember my lots/space.